As Jam was down with diarrhea, I went out for lunch with his friend. Although his friend was suffering from diarrhea too, his condition was not as serious as Jam. On the way, we decided to buy Jam some bread. We came across this bread shop. See the chairs dangling from the ceiling? I thought that was quite unique, although I have seen these swing chairs before from some blogs. After buying some bread, we had lunch at this restaurant nearby. Anyone knows what is this shop called? I don't know how to read those Mandarin words! They served only claypot rice. Rice with pickled vegetables and meat. I think the pickled vegetables can be found in the rice noodles I ate in Guilin too. 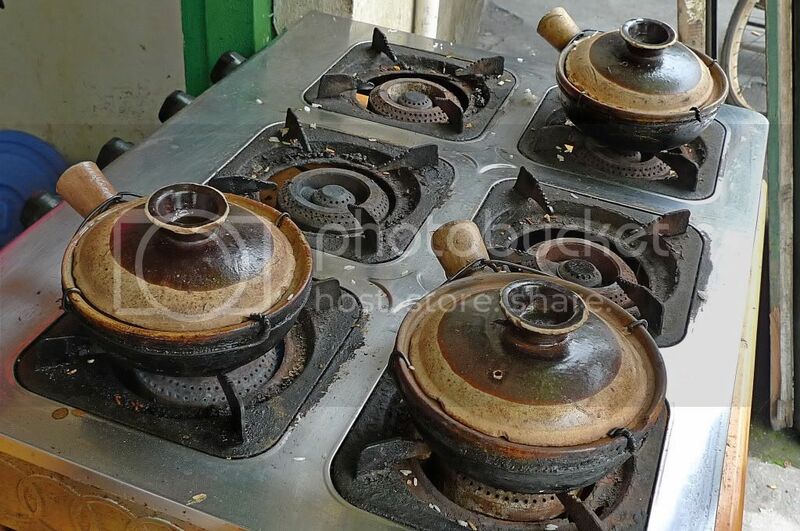 Probably these are staple food in small towns and villages. 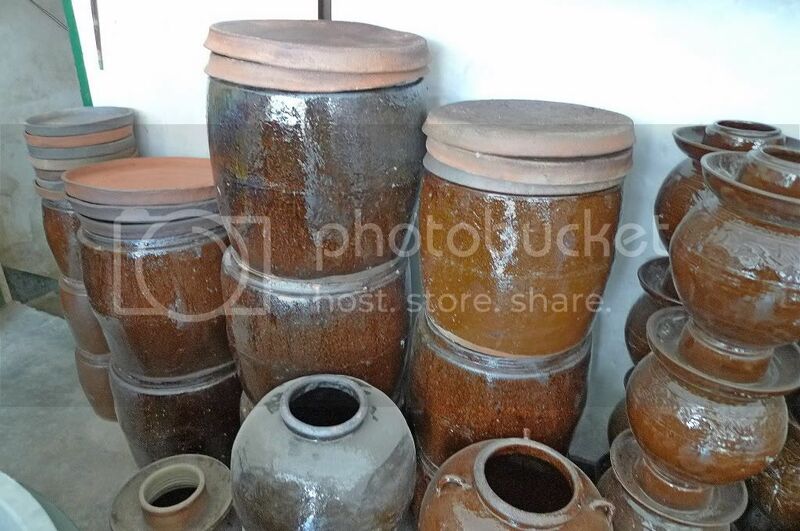 After lunch, we passed by a shop selling wine containers and decided to take some photos. Honestly, it was my first time seeing these wine containers! They also have transparent containers. Not sure what these containers were made of! 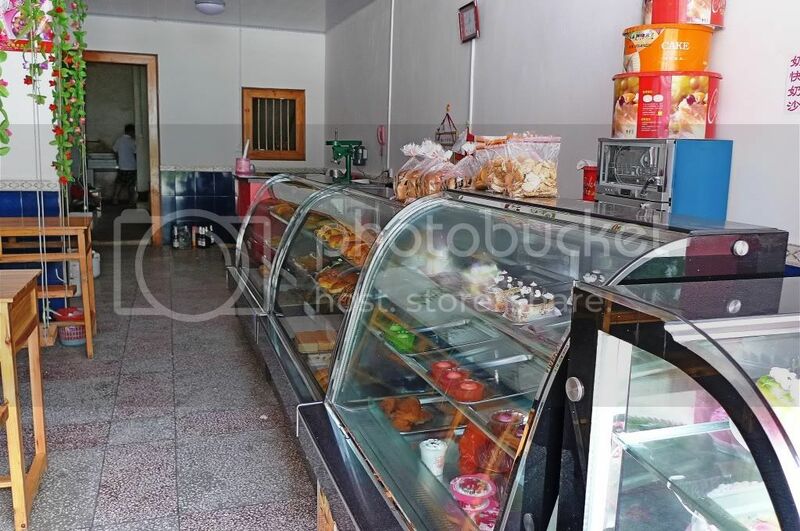 We passed by a small supermarket called 99 Supermarket and decided to go in and have a look. I wonder if it has any connection with 99 Speedmart stores found in Malaysia? The prices there was indeed low! How did I know? 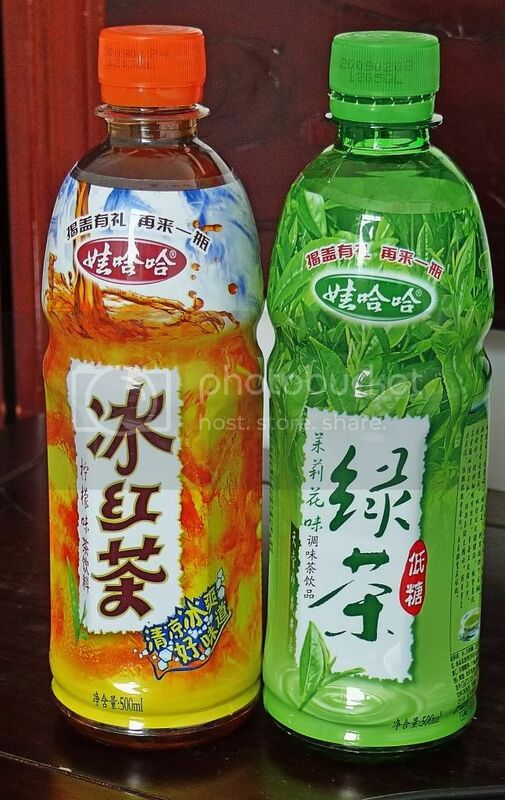 Well, I bought these two bottles of their famous tea for 1.70 yuan per bottle. 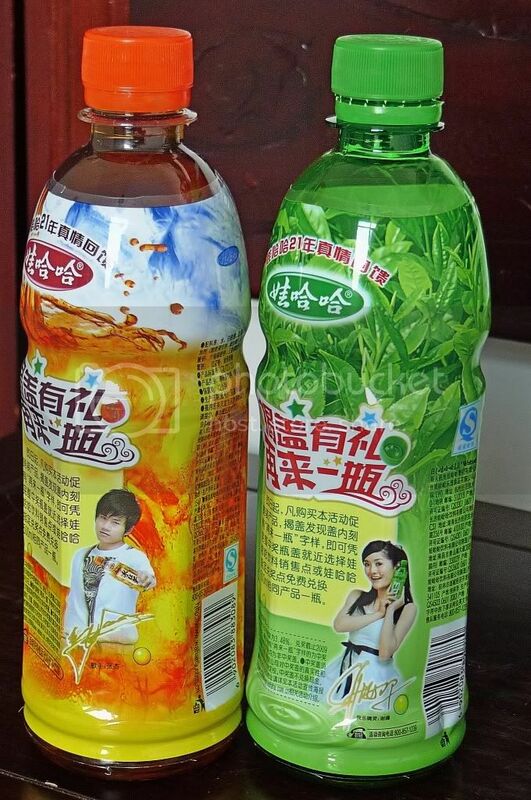 I found out that other shops along the same street were selling these drinks at 3 yuan per bottle. One shop even sold it at 4 yuan! What, they think we tourists are dumb? When I told the boss that the 99 Supermarket down the street was selling it at 1.70 yuan, he did not look too pleased. Oh, come on, I really don't care whether you are pleased or not, I am not obliged to buy from you especially if you are selling at that kind of price! By the way, I like the drink a lot! It was a mixture of sweet and sour in taste. Hmm, wonder if the pictures of the models on these bottles are some famous stars in China? Anyone knows? I don't follow Chinese stars, only Hong Kong TVB stars, haha! When we returned to our hostel, I rested for a while in my room before embarking on my solo adventure trip to Xingping's fishing village. wah.. u still remember every detail in your trip wor..
Waaa 1.70yuan and 4yuan is not like a few different! It is alot! Crazy people!! The wine containers look nice... the first one actually looked like a fondue pot :P. TO me that is haha. 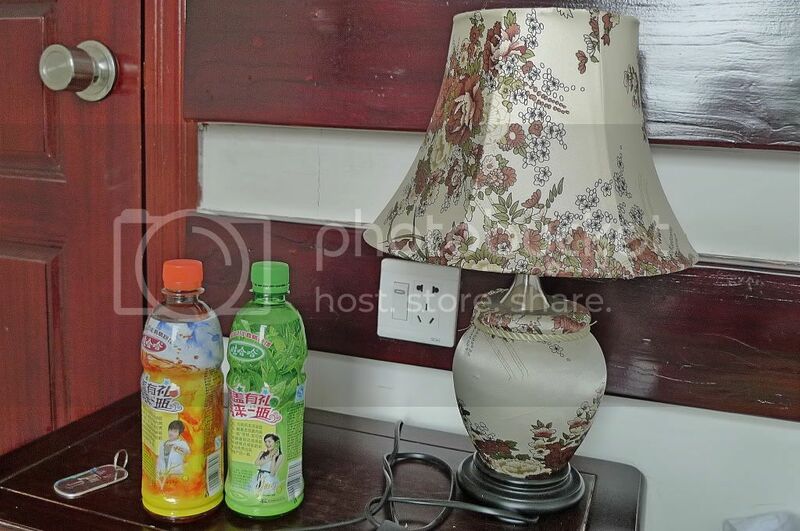 The models on the bottled drink look like Taiwan artiste... of course I don't know I don't watch Chinese shows :P.
Oooh the lamp in the hostel room looks nice :P. Though I don't really like the lamp shade. they have lovely plastic bottles.. Tourists are always at the mercy of the locals when it comes to buying and selling. really amazing place. thanks for sharing us the photos. Third - container? 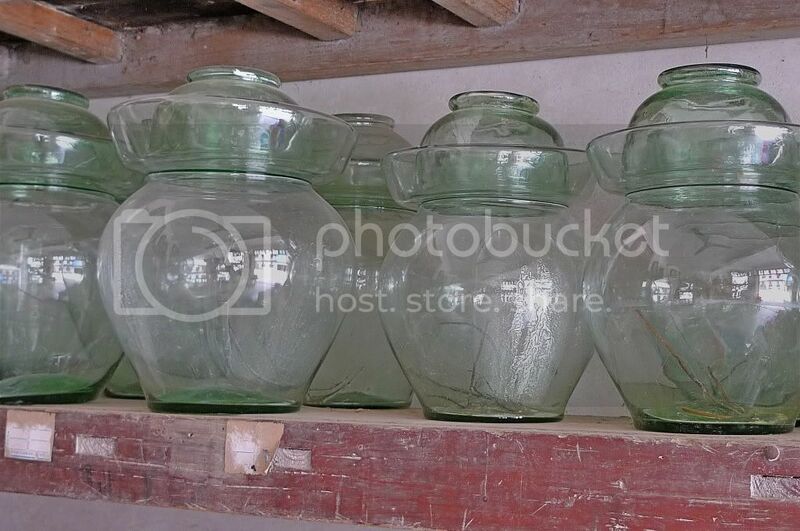 I think it is a pot or jar for wine. The transparent ones are beautiful. All in all, the trip is very interesting. The claypot is overflowing with veggies and meat. Does it taste good? and the wine containers are so dusty!! I like the dangling chairs. I didn't expect that you could find something so artistic in China! Wow such cheap drinks! Did you buy some back? LOL I bet not huh, as they're heavy! wow....so nice. the rice with pickled vegetables and meat make feel super hungry...is the taste good? I so missed joining you people walking on the street of Xingping. The only place I want to be back then was near to toilet. Poor me! Foong, I think I will stick to Redang. It is going to be 5 nights Siam Riep and 4 nights Redang/Perhentian. What do you think? Year end I am going to KK. I know you had just came back from KK in June, but I won't mind if you want to join me, haha! FYI, Jam's friend's name is ram! LOL! at KhengSiong's comment on you being so secretive. It's really getting on to him.. 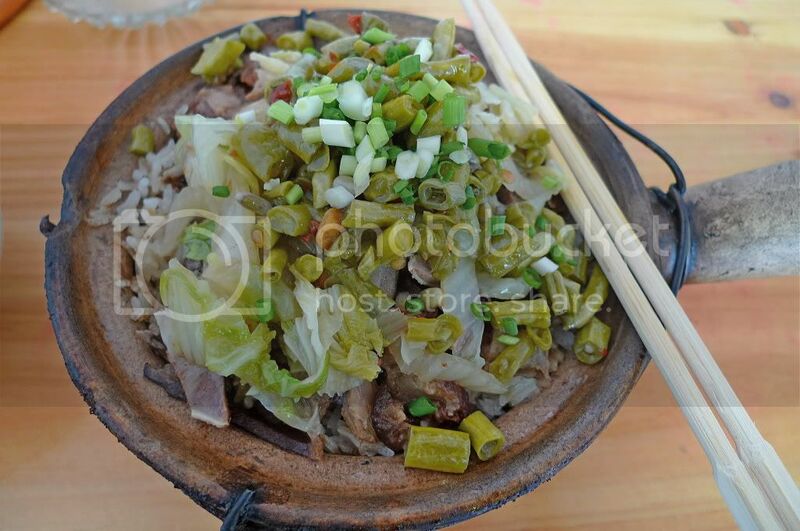 The claypot rice with the pickled vegetables look appetising. You didn't try it? Sweet and sour bottled drinks? Must be thirst-quenching when chilled. The swings chairs....hmm - great idea but are they secure you think? Okay, now we know Jam's friend's name. iamagine having hot claypot rice in a cool weather...that's heaven!! Btw, I've added u to my blogroll. 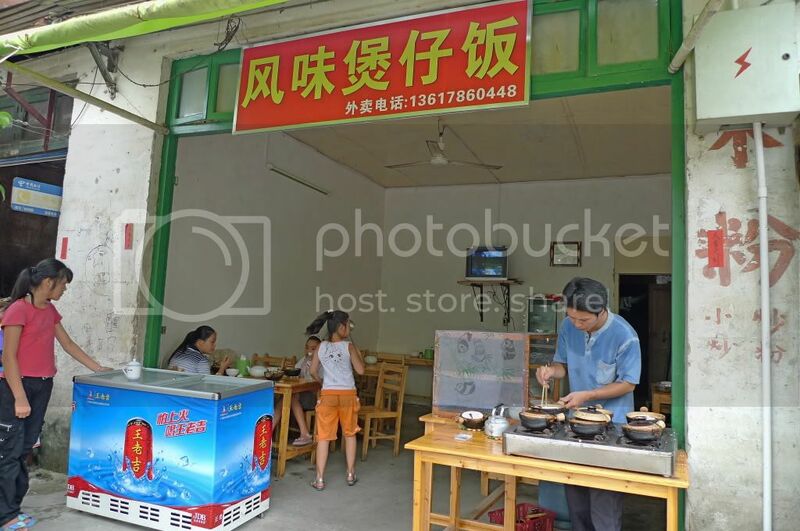 Ouh...the restaurant name is mandarin if translated directly is "wind fragrance claypot rice"? :p I'm not sure. Haha :D Well...thank goodness you guys visited the correct store aye. Some of them just wanna earn money from you guys. They are tourist-blood sucker! Gonna wait for your lonely trip to the fishing village. :P have a nice day foong. that claypot rice is something new to me. i haven't tasted anything like that when i was in china. those models on the labels look familiar but unfortunately i don't know the names. 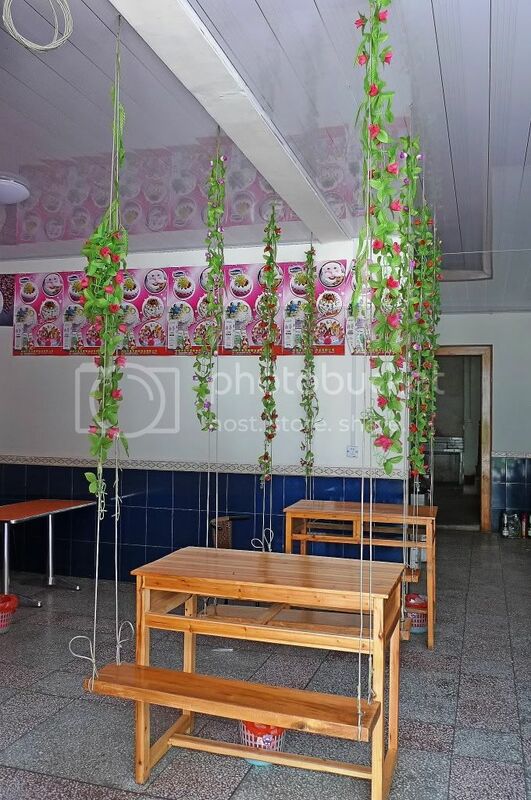 the dangling chairs are pretty unique indeed. have a wonderful week Fong. Hi! Thanks for dropping by my blog. Those swing chair --- Hmmm, can be quite a feat while eating. But may prove romantic too, swinging and eating or even feeding each other. Sigh! those swinging chairs look so not safe to me.. i dare not sit on them!! or actually i should say, those chair will not be able to take my weight!! i'm too fat for them.. haha!! wow!! yummy yummy claypot rice!! i just had a muffin for lunch, now am so hungry!! OMG, the portion of the rice is so huge!! see, the ingredients are all seem to spill out of the pot!! why isn't the 99 Supermarket selling everything at 99 cents?? haha..
hmmm, i don't know if they have paid for the loyality for using the artist's photo.. most of the chinese products don't..
so, you still haven't tell us about getting LOST in xingping yet..
Wah so many things u guys did on ur vakasi eh? How many days again u were there?? Looks like 99 is a favourite number! i oso don't follow Chinese stars! hehe did you try the swing? Xingping is beautiful! Thanks for the tour. It's like I tagged along with you just by reading your post. Nice shots too! How fascinating as usual.I love those wine containers the most. I hope Jam feels better! You didn't order the meat version of the claypot rice? Tastier leh. You're right, the locals know you are tourist from the way you speak and dress and they definitely will 'slaughter' you when it comes to making purchases from them. LOL. 1.70 yuan not cheap enough?!!! aiks. lina, no I didn't sit on that swing chair. That is in the bread shop. The place where I ate my lunch was at another shop nearby. ladyviral, yes it's a big difference in price although if convert to ringgit, no too bad lah! Haha! The wine container looks like a fondue pot? Haha! You must be hungry! wenn, not sure if that's plastics or glass! manglish, no chillis provided, haha! khengsiong, I can reveal the name but I don't think Jam's friend will allow it. Haha! I am a Chinese but I am a banana Chinese, ie. don't know Mandarin! I know Cantonese though that's why I watch lots of Hong Kong TVB series! haha! kenwooi, you are a banana too? Welcome to the club! Haha! iamthewitch, no didn't buy any back! Would have bought if that was the last day of our trip! jam, yeah if you didn't have food poisoning, you would have seen more things there! Stick to Redang? Now 5 days only in Siem Reap? Why reduce by 1 day? And add 1 more day in Redang? Redang and Perhentian? I'll have to think about this! jam, his name is Ram? Since when? And why does it rhyme with yours? Haha! happysurfer, haha yeah I think Khengsiong cannot take it anymore! LOL! Yeah, the drink is nice especially when chilled. Not sure how secure the dangling chairs are! Should be quite secure unless you are really heavy, I think! LOL! The claypot rice portion is bigger, yes. life ramblings, I guess you should try it next time you happen to go China! The models look familiar? I thought so too! Wonder they are Chinese or Taiwanese artists! asha letha, not sure if it's romantic to be eating on that swinging chair - may prove to be a distraction! LOL! SK, haha! I think you better not try sit on those dangling chairs! Just a muffin for lunch? Are you on a diet? Muffin makes for very bad diet food you know! A piece of fruit is more like it! Haha! Don't know why it's called 99 Supermarket! Yeah, should sell everything at 99 cents! 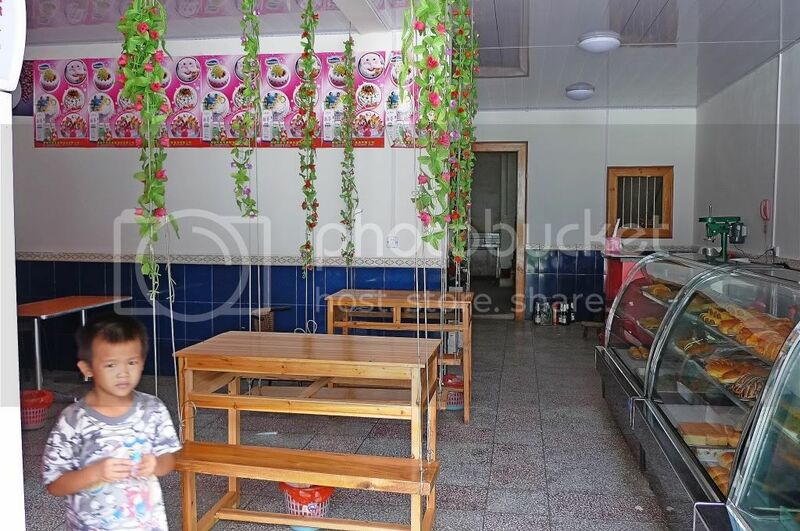 or 0.99 yuan! Definitely not 9.9 yuan or 99 yuan! LOL! What's the name of the drinks? Please translate for me! mariuca, something like Speedmart. Selling basic grocery items. We were in China for 10 days. Enough time for many adventures! Haha! monica, really? I haven't seen such chairs here before! Can't remember which restaurant? ayie, that's the thing! I wonder why I didn't try the swing! Maybe not in the right frame of mind thinking what bread to buy for Jam, so totally forgot sitting on it! eastcoastlife, there's only one version of the claypot rice and it contains both meat and vegetables. bananaz, hi thanks for dropping by! Will drop by your blog soon! And yes I'm a banana! LOL! Wow...you got a very popular blog! Congrats! 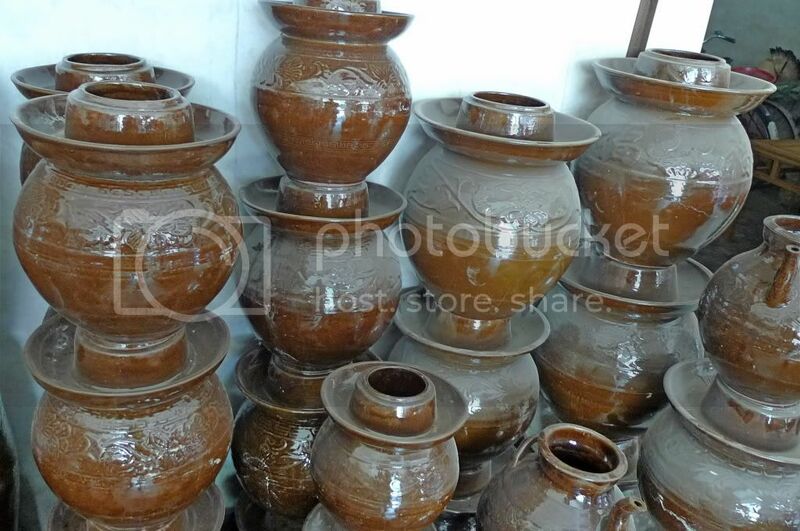 the claypot meal looks tempting!